Jacob Leib Frank was the founder of the Zoharist or Frankist movement, which was a movement that led many Jews out of the Sabbatean perversions of spirituality and Kabbalah towards a tikkun (reparation) for moral and spiritual perversion and towards a 'belief in Jewish garments' of Trinitarian, Marian and Messianic concepts. Frank led 60,000 European Jews around 1760 into baptism in the Catholic Church. A much greater number of his followers did not take this step and remained in the Jewish communities. Among the non-baptised group were those who relapsed into Sabbatean teachings and those such as Rebbe Nachman of Breslov and other Hasidim who continued in the tikkun taught by Jacob Frank (and also the Catholic converted Nathan of Gaza). The baptised Catholic Frankists split into two major groups- those under Eva Frank who united with the antinominian Prague Sabbateans - and those who followed the other daughters of Frank from his first marriage whose leadership became based in Italy, Spain and Ireland and they became a leaven in the Catholic Church for a Rome-focused mystical, liturgical and devotional renewal of Catholicism. Beginning in about 1790 some of the non-baptised Hasidic secret Frankists joined the Catholic devotional Frankists in the Catholic Church and there was a further influx in 1820 under the son of the Alter Rebbe- Reb Moshe ben Zalman (Leon). These anti-Sabbatean Frankists or Zoharists can also be called Papal Frankists. The Sabbatean Frankists supported Napoleon and his agenda whereas the Papal Frankists were opposed to Napoleon. Among the Chasidim the Rimonov Chassidim were linked with the Sabbatean Frankists and the Chabad and Breslov with the Papal Frankists who supported the Tsar. A secret war began in the Catholic Church between the two groups -the Sabbatean Frankists who were those who followed Frank's cousin the Masonic and revolutionary Moses Drobuschka and Adam Weishaupt the founder of the Illuminati and their opponents the Catholic Zoharist Frankists under the leadership of the Frankist Irish, Spanish and Italian bishops and Cardinals (such as Cardinals Fransoni of Italy, Cullen of Ireland and Moran of Australia). 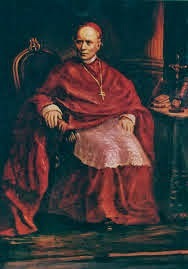 St. Pope Pius X was also from a Frankist Jewish family. The first wave of European Frankists came to Ireland in 1761 after the arrest and imprisonment of Jacob Frank in Czestochowa in late 1760. Many of them were members of Frank's family. They mixed with the already existing crypto-Jewish community of Ireland. It is only with this Frankist conversion that these crypto-Jewish families became truly Catholic. The Frankist families took Irish names and identity. Some of the names were Murray (Murzynski), Cullen (Cohen), Murphy (Morpurgo), O'Connor/ Connor (Kinnor/ Konarski), Kinsella (Kaplinski), Maher (Mayer), Doyle (D'Oliveira), McCabe (Maccabi), Lynch (Luntz), Flood (Folda), Brennan (Brainan), Lavin (Zaslavski) , Carroll (Karlin), Nolan (Nolen), Neill (Nehlhans), Walsh (Wolowski) etc. Cardinal York, who was related to Jacob Frank through the Sobieski family, was a great supporter of the Frankists, as were the Jesuits. Father Thomas Betagh had been a Jesuit supporter and priest to the Frankists in Europe and he continued to do so back in Ireland. He educated a young Frankist boy Daniel Murray whose family (the Murzynski family) had arrived in 1761 to Ireland. Daniel's father Tam (Tomek) Muzynski (aka Thomas Murray) came to Ireland with his brother Pinchus (Piotr) Murzynski (aka Patrick Murray) with their wives Yehudit (Judith) and Chana (Honoria) Murzynski (nee Mayer) and the whole Mayer (Maher) family. Judith and Honoria Maher were the daughters of Joseph Mayer of Frankfurt and his wife Hannah Rothschild. They were the sisters of Nathan Mayer (aka William Maher) who married a daughter of Jacob Frank known as Annie Jacob (whose Hebrew name was Rivka Shoshana and she took the Christian name of Anna Rosa at her baptism in 1760). Daniel Murray became the Archbishop of Dublin and he ordained to the priesthood two of the Murphy (Morpurgo) family- Francis and Daniel Murphy who were to become Australian Archbishops. Archbishop Daniel Murray was a relative of the two Murphy cousins through his maternal uncle William (Nathan) Maher (Mayer) whose daughter Catherine (Chaya) Maher married the Frankist Peter (Isaac) Leon Morpurgo (son of Rabbi Elia Hayyim Morpurgo of Italy). Peter took the name of Peter Murphy in Ireland. The two Archbishop Murphys were Peter's grandsons. Archbishop Francis Murphy of Adelaide through Peter's son Arthur (Aron) who married Brocha Folda (aka Bridget Flood) whose father Joseph was the son of Rabbi Isaac Fulda (Folda/Fuld) of Hamburg and her mother was Catherine (Chaya) Maher (Mayer) another daughter of Joseph Mayer and Hannah Rothschild (the daughter of Herz Moses Rothschild and Hannah Halberstadt). Archbishop Daniel Murphy of Tasmania was the grandson of Peter Morpurgo (Murphy) through Peter's son Michael Murphy who married Miriam Schwienke/ Szalwinski (aka Mary MacSweeney). Another daughter of William Maher (aka Nathan Mayer) was Miriam Mayer (Mary Maher) who married David Kinnor (David Connor) the Frankist son of Daniel Menke Kinnor (Harf) and his wife Chana Loeb. David and Mary Connor were the parents of two American Bishops- Bishop Michael O'Connor [b.1810] and Bishop James O'Connor [b.1823] of Omaha, Nebraska. 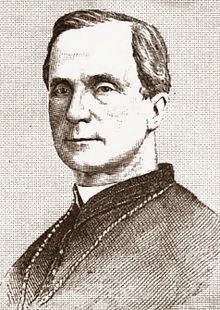 "Bishop Michael O'Connor was born in Cobh in 1810. His parents also lived in Fermoy in later life. In 1824 when he was 14 he moved to France to study for the priesthood and then to Rome. He was a great student and was ordained in 1833 when he was only 23. He was friends with Cardinal Wiseman who was descended from families of converted Jewish merchants in Ireland. In 1834 he returned to Ireland as a priest in Fermoy-at this time his parents moved there to be near him. He went to America in 1839 as a seminary professor. 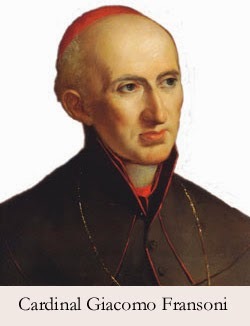 He was ordained as the first Bishop of Pittsburgh in 1844 in Rome by Cardinal Fransoni (a family of converted Jewish origin descended from Rabbi Jacob Franzoni of Venice from the 16th century- they were a family of converso silk merchants). 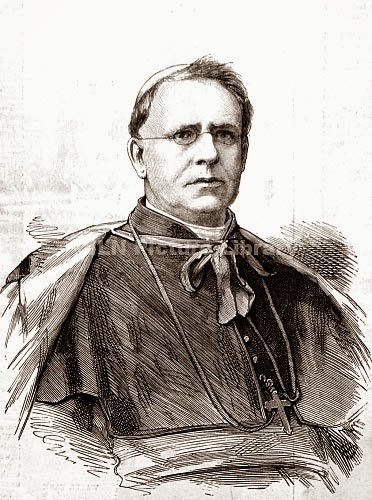 He was instrumental in the wording of the dogma of the Immaculate Conception in 1854. 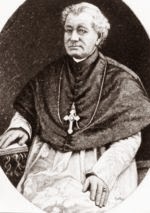 In 1860 at the age of 50 he resigned as Bishop of Pittsburgh and joined the Jesuits. 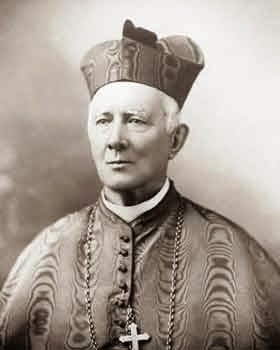 His younger brother James became the first Bishop of Omaha in Nebraska. His nephew was Bishop Michael O'Connor of Ballarat In Victoria, Australia. Another nephew was Bishop Patrick Joseph O'Connor of Armidale in New South Wales." 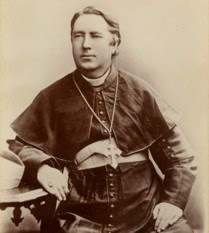 Bishop Patrick Joseph O'Connor of Armidale was the son of David O'Connor (the son of David Kinnor (Connor/O'Connor) and Mary Maher) and his wife Johanna Meaney (the daughter of the Frankists Pierce Meaney (Pedro de Mena) and Mary Perry (Miriam or Maria Perez). Bishop Michael O'Connor of Ballarat was the son of John O'Connor another son of David Kinnor and Mary Maher. His mother was Miriam Mittag (aka Mary Murtagh). His nephew was Bishop John Joseph O'Connor of Newark, America. Another son of Joseph Mayer of Frankfurt and Hannah Rothschild was Pinchus Mayer (aka Patrick Mayer). His daughters Mary and Judith married into the Frankist Cullen (Cohen) family. Mary married Hugh Cullen [b.1760] the father of Cardinal Paul Cullen of Ireland. Mary's sister Honoria Maher married Patrick Moran (a grandson of Jacob Frank). Cardinal Patrick Francis Moran of Australia was the grandson of both Hugh Cullin and Patrick Moran (HaMoranu). His grandmothers were Honoria Maher and Elizabeth Murphy (Morpurgo) the second wife of Hugh Cullen. Hugh Cullen's parents were the Frankists Efraim Cohen (aka Edmund Cullen) and Udil (Adel) Kaplinski (aka Alice Kinsella). Hugh Cullen:"Hugh was married three times. 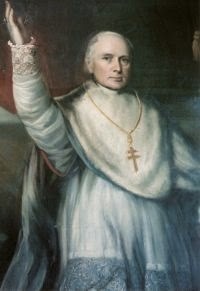 His second wife Elizabeth Murphy (b.1796 d.1819) was the grandmother of his grandson Cardinal Patrick Francis Moran. His first wife Mary Maher (b.1773 d.1810) was the mother of his son Cardinal Paul Cullen. His third wife also Mary Cullen (nee Keogh) (b.1799 d. 1845) was the widow of his nephew Edmund Cullen when she married Hugh. Some genealogies have conflicting Information due to a confused understanding of his wives. Hugh's mother belonged to the Kaplinski (who took the Irish name Kinsella in Ireland) family who were close relatives of Jacob Frank's second wife Chana (married 1752). Hugh's wife Mary Maher was a descendant of Jacob Frank's first wife Chaya (married c. 1740). These Frankists were at the forefront of the revival of Catholic mystical and devotional practices centered on Our Lady and the Eucharistic Lord such as the Rosary, novenas, devotion to the Sacred and Immaculate hearts, Benedictions, the forty hours devotions and Perpetual Eucharistic adoration. 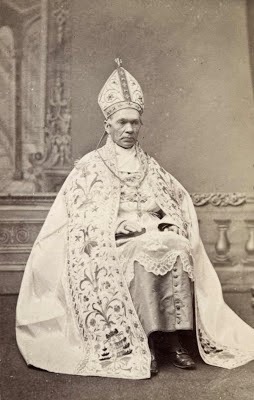 Under the Frankist Irish Bishops culminating in the work of Cardinal Cullen (Hugh's son) Irish Catholicism was transformed in what has been termed the "Irish devotional revolution". Patrick Moran the grandson of Jacob Frank had a brother James Moran of Liverpool. "James' Hebrew name was Jacob in honour of his grandfather. The name Moran means teacher in Hebrew. Morenu or moranu means Our Teacher and is usually a title given to a Jewish Rebbe or Tzadik. James was the grandson of Jacob Frank who was known as Hamorenu Jacob Frank to many of his followers. James was the leader/ teacher of a group of Zoharists (Frankists) in Liverpool. He married a pretty Mexican Marrano dark-haired girl who was a gifted healer and midwife among the crypto-Jewish and Frankist communities. In accord with Frankist tradition James taught his daughter Helena as well as his son to read, write and study. The auburn hair found in his descendants is believed to have come via his mother Eva Rivlin.James was born in Europe in 1778 the son a Jewish Rabbi who was a son of Jacob Frank. He was trained as a Frankist Rebbe and led a group of Frankists in Liverpool. He also lived with his daughter Helen in Athlone Ireland and his son Simon in Wicklow, Ireland. His grandson Patrick Moran became a Catholic Bishop in South Africa and New Zealand." James Moran's second wife was Johanna (Juana/ Judith) Rodriguez Galvan de Leon. "Juana was either born in Mexico or the Caribbean of a Mexican family of Marranoes who had been Catholics for many years. They left Mexico to escape the continual threat of the Inquisition. Her family and relatives firstly settled in the Caribbean as merchants and the family gradually spread to England (London and Liverpool) and Ireland (Dublin, Athlone and Killarney). In the Caribbean they returned to open Judaism but in England and Ireland they reverted to Catholic practice under the influence of the Frankists who they intermarried with while still maintaining Jewish traditions and learning in the home and in secret meetings. Her Hebrew name was Judith. Juana was a talented and gifted healer and midwife among the Crypto-Jewish and Frankist communities. She performed many circumcisions in secret according to Marrano custom where the women of the community (rather than the men) would gather on the 8th day after birth when the midwife would hang a red scarf from the window of the mother's house as a sign to gather. The ritual would invoke the Queen Shekhinah/ Matronita and all her Angels especially Raphael as the Archangel of Healing to come with Elijah to assist at the Circumcision (Brit Milah). The prayers also alluded to Miriam, Esther and Judith." Many other members of these families also became priests and nuns. The women whether mothers or nuns were considered as having a powerful role in the Frankist families. They were prominent in the Sisters of Mercy, Sisters of Charity and Presentation Sisters. They guarded the maternal Jewish lineage assuring that their sons, brothers or nephews married women of Frankist families. This they did for at least a hundred years after they became Catholics. In the late 1800's this network started to disappear as the families began to totally assimilate into the surrounding Gentile Catholic culture and practice with only tracings of their Jewish customs. Jacob Frank and the Frankists were influenced by the Gothic-Romantic movement and an inclination to pomp and ceremony. The ornate baroque style of the Counter-Reformation appealed to this desire to worship God with suitable majesty and reverence. At the same time they felt a strong call to serve the poor. This dual concern for pomp and service to the poor was also evident in the Catholic Apostolic movement among Anglicans that led to the Oxford movement. Jacob Frank said that the reason that Poland was the first place that the Frankists chose to become Catholics is because they were the nation that understood the Mother best. The Papal Frankists who went to Ireland were to bring this intense Marian focus with them and under the Papal Frankist priests, Bishops, nuns and laity they inaugurated a new era of Marian fervour in Irish Catholicism. It was the hidden Frankists in the Church of Europe that pushed for the dogmas of the Immaculate Conception and Papal infallibility. At the same time the Masonic Sabbatean-Frankists were working to oppose the agendas of the Papal Frankists and were working for an occultic, masonic and modernist take over of the structures of the Catholic Church. However by the late 1800's families from both sides were starting to forget their Jewish and Frankist origins, identity and customs and had assimilated fully into the Gentile cultures of Church and State. 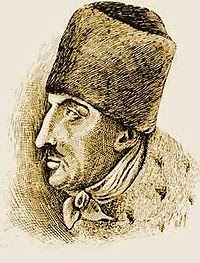 Jacob Frank had sought permission for the Frankists to maintain openly their Jewish customs and practices in the Church as a Jewish rite similar to the Chinese rites proposed by the Jesuits in China. However the anti-semitic and anti-Jesuit forces in the Church of the 18th century prevailed on the Bishops to deny this request. This was when Frank decided that the Frankists must remain in silence and hiddeness as a Jewish mystical leaven in the Church to prepare it to become the Church of the new era that would be truly mystical and universal.